Congratulations, you’re going to have a baby! In all the flurry of activity, many parents-to-be neglect to prepare the family dog. This can be a mistake. Dogs are social creatures. Left on their own, they form packs. The pack is organized. There are leaders and followers, all equally essential to the pack’s survival. Your dog belongs to a pack, too: your family. The people lead, the dog follows. It’s that simple. Many people tend to forget their dog is a dog. It is important to recognize and respect your dog for who and what he is. You must be able to communicate with him and read his body language. He needs structure and guidance if he is to function appropriately within the family. How? Read on. How good are your dog’s obedience skills? If your dog does not know the commands SIT, DOWN, and STAY – teach them. Use lots of praise and positive reinforcement. Make sitting and staying a wonderful thing! Begin to add distractions such as dolls dressed in the baby’s layette, wheel around the baby carriage, get tapes of babies crying… be creative. Use treats, their favorite toys, and lots of praise and love. Let them know when they are right! If your dog jumps up on people, it is very important to train him to keep all four feet on the floor. The dog can do serious harm by jumping on you while you’re cradling junior in your arms. At that point, it doesn’t matter that the dog was happy to see you. Teach him to sit rather than jump. Remember you want the dog to be successful, and to have fun. Does your dog guard food, bones, balls or toys? If not, have it done, now. Neutered and spayed dogs make better family companions. Unaltered dogs are often possessive and overly protective; they are more likely to growl, snap, and bite than their neutered/spayed counterparts. Unneutered males have a heightened sense of territoriality. They tend to be bossy, pushy and willfully disobedient. They are easily distracted, making training difficult at best. Unspayed females go through hormonal changes before and after each heat cycle, causing their behavior to become erratic and sometimes aggressive. Sexually intact dogs experience sexual frustration; household destruction, daring escapes, and overbarking, not to mention mounting children, as well as adults, are a part of that picture. If your dog guards objects, he must learn that this is unacceptable behavior. You may be able to tell the difference between dog toys and baby toys but your baby can’t. Don’t risk your baby’s fingers, toes, or life, train the dog. You, as his primary caretaker and steward, must be able to take any item out of your dog’s mouth. If he bares his teeth, growls low or threatens you, call a professional trainer. While most dogs can be retrained, you should not attempt to retrain this dog without professional advice. Does your dog have a strong predatory drive? This is one of the most important questions to answer. Be honest. A newborn infant bares little resemblance to the humans most dogs are used to. They sound, smell, and move in unfamiliar ways. Dogs with strong predatory drives frequently view infants as prey. All too often these infants are mauled or killed. Don’t be lulled into a false sense of security, some dogs don’t express their drive on the child until the baby starts crawling or toddling. The high-pitched squeals and jerky movements of babies and toddlers can trigger predatory behavior, even though you may not have witnessed it before. 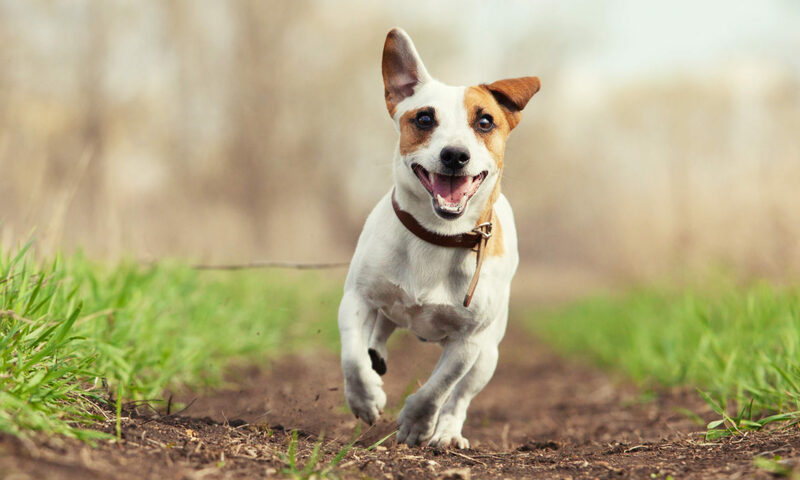 Does your dog chase cars, bicyclists, joggers or small game like squirrels and cats? Has your dog ever caught and/or killed small game? If he has, you need to consult a private trainer, preferably before the baby is born, in some extreme cases, the dog may need to be re-homed or euthanized. Has your dog bitten anyone? Please don’t rationalize this. Dog bites can be offensive (aggressive) or defensive (fear motivated). Did the dog’s teeth connect? That is a bite. Has your dog snapped at anyone? A snap is a warning, or a bite that didn’t connect (due to your quick reflexes?). A dog with this type of background must be evaluated immediately; call a professional trainer, now. If you are considering home birth, the dog should not be present for the actual birth. Have someone supervise the dog, taking him for long walks, making sure he’s fully exercised. If he’s crate trained, crate him. Wait until things settle down, keep them separate. Then show the dog articles the baby has been in contact with. This can happen in a matter of hours after the event. Mom, greet the dog without the baby in tow. Give him a genuine hello, let him know you’re OK. Let the dog sniff you up and down; he’ll pick up the baby’s scent on you. Pay close attention to his responses. After the initial excitement has calmed down and all is quiet, have one person hold the baby, while whomever the dog is closest to and obeys most readily has the dog on leash. Sit the dog and praise him. The dog should close enough to see, but not touch, the infant. Short frequent sessions during the first day are recommended. Gradually bring the dog closer, paying attention to his responses. If the dog is under verbal control and calm after several introductions, try it without the leash. Now you can allow the dog to wander loose in the room while the baby is being held, feel free to pet the dog while you hold the baby and don’t forget that praise! Never, ever leave your child unsupervised with your dog. No matter how well you know your dog, accidents happen. Newborn infants are far more fragile than newborn puppies; even with the most maternal of instincts, the dog can unintentionally injure or even kill your baby. Some dogs’ predatory drives are not apparent, and the sounds, smells and movements of infants and children trigger many dogs. Dogs are often unaware of their own strength, and can cause injury out of excitement and happiness. You can not afford to take any of these risks. Do not leave your child alone with the dog! Make time daily to have ‘fun’ with the dog without the baby present. Play-training sessions, throwing his favorite toy, or any other positive interactive games are all good choices. You must not, however, play any of the following games: tug of war, wrestling, or games involving chasing people or any other living being. While they may seem like games to you, tug-of-war, wrestling, and chase games all tell the dog in his language that he’s in charge. Canine friendships can be loyal and true if you realize that dogs can not understand the concept of equality. In the canine world there are leaders and followers, you must be your dog’s leader. Take time daily to have fun with the dog with the baby present! If you are relaxed and happy around the dog, the dog can be relaxed and happy around you. Dogs and kids; it’s the stuff the American Dream is made of. Unfortunately it can also be the American Nightmare; number one on the ‘most bitten’ list is little boys! Growing up with animals can give our children some of the most positive lessons life has to offer, from self-respect and self-control to sharing, caring and the experience of unconditional love. The dream can come true with careful planning, training and awareness.